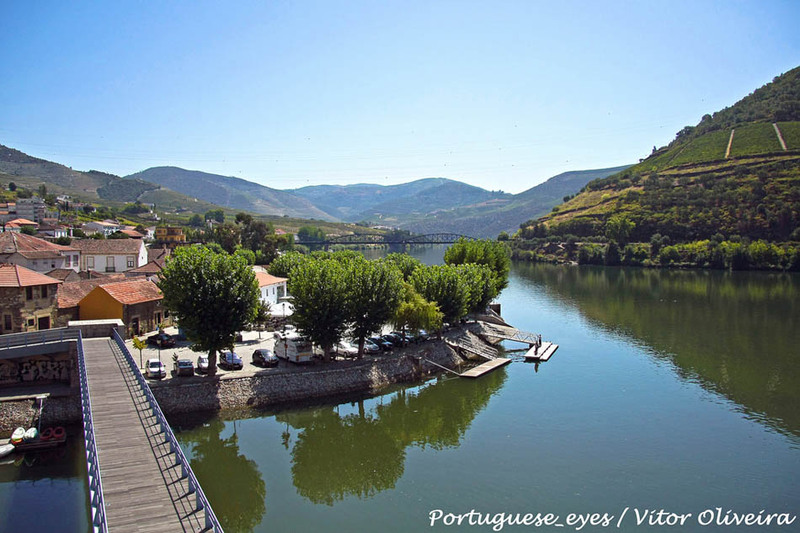 Visit the pintoresque town of Pinhão in the region of Douro, northern Portugal. Pinhão is a small town sitting in a charming bend of the Douro river, twenty kilometers north of the city of Peso da Régua. This town is surrounded by the hillsides and terraces where one of the world’s best wines is made. Besides many wineries, it’s worth noting the beautiful train station ornamented with tiles representing images of the vendimia (wine harvest). 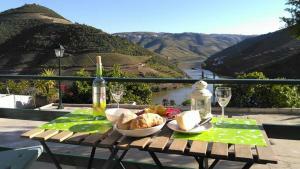 Pinhão is a charming town, but does not feature many touristic attractions if you are not interesting in wine. If you are in love with wine, you will spend an incredible day visiting the many nearby wineries, drinking until you get full, and visiting the Quinta de Nova wine museum.